The adidas Yeezy Boost 350 V2 ‘Sesame’ dropping this friday and has got everyone hyped up. We’re sure you’d like to cop one for yourself as well. BNB All in One is probably your best shot to grab a pair for the retail price. Please read the instructions below to setup the bot for the yeezy drop. Our bot is easy to use and has a great track record. For basic instructions, please checkout our YouTube channel. Yeezy supply will drop at random time so make sure you keep your bot running for YS from early morning. Run bot as early as 1 am as they can drop very early too. Yeezy supply may have captcha in checkout. Use guest accounts and add a checkout profile in the bot. 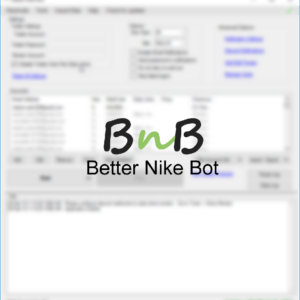 Please enter proxies in bot if running more than a couple of tasks. You can enter a 2Captcha key in Captcha -> 2Captcha Settings. Bot will use this key to automatically solve captchas on all websites. You can manually solve captcha from the captcha menu. For Yeezy Supply, only solve captcha AFTER the checkout process has started. Look for message in log asking for you to solve captcha. Click here for manual captcha instructions. Select sitetype according to your location (AdidasUS, AdidasUK etc). Enter US sizes for all regions. Setup guest account tasks with 1:1 ratio with proxy. For example if you have 10 proxy, setup 10 different tasks. Start the bot only once the product is live (you see a splash page when visiting through your browser). The bot will automatically wait to get through the splash page. Bot will automatically start atc once you’re through the splash page and prompt you to solve captcha. The bot will use checkout profile you select in bot (if autocheckout). We have updated auto checkout so it should work fine unless your card has 3d secure verification. You can manually checkout by right clicking on added product and doing Open in Browser. You can also solve captchas manually. Use the captcha menu for this. Instructions for manual captcha. Use guest accounts and setup credit card checkout in bot. The bot will automatically bypass captcha on footaction and footlocker but still prompt you. If you do not get captcha errors you do not need to solve captcha for footsites. 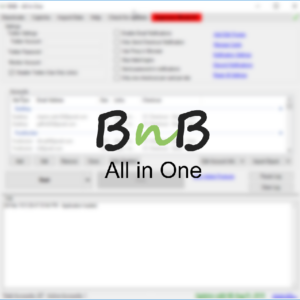 For FA and FTL, try to use unique emails for each task to avoid errors. Sites may go down during the drop. Just keep the bot running and you should eventually get it.